The development follows allegations of sexual harassment which had surfaced against them attracting enquiries by the Dentsu Aegis Network. 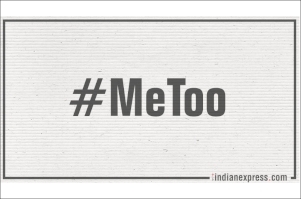 In a recent development closely related to the #MeToo movement, Kartik Iyer - CEO, Happy Creative Services; Praveen Das - MD, Happy Creative Services; Bodhisatwa Dasgupta, senior creative director, Happy Creative Services and Dinesh Swamy, national creative director, iProspect India, all from the house of Dentsu Aegis Network, have stepped down from their respective positions. The development comes following allegations of sexual harassment against all four of them which had surfaced separately on various social media platforms. Allegations by anonymous women had surfaced against Kartik Iyer and Praveen Das from Happy Creative Services on a Twitter post by writer and journalist Sandhya Menon on October 10. Similarly, allegations against Bodhisatwa Dasgupta surfaced in a post on Medium, an online publishing platform on October 14. Dinesh Swamy from iProspect was named in a complaint on Twitter. Happy, a Bangalore based independent ad agency founded by Iyer and Das in 2007. The agency was later acquired by Dentsu Aegis Network in October 2016. Digital advertising agency iProspect was also acquired by Dentsu Aegis Network in 2012. "Dentsu Aegis Network has always believed in providing a safe environment at our workplaces which is free from any kind of harassments. We have a zero tolerance policy towards any kind of harassment at our workplaces. 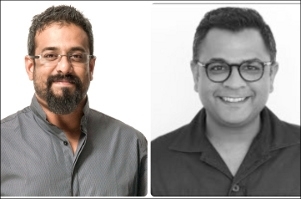 Kartik Iyer (CEO) and Praveen Das (MD) have stepped down from their respective positions and responsibilities at Happy Creative Services. 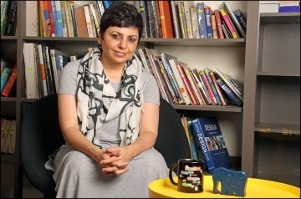 Additionally, Bodhisatwa Dasgupta, Sr. Creative Director, Happy Creative Services and Dinesh Swamy, National Creative Director, iProspect India have also stepped down from their respective positions," Dentsu Aegis Network stated.